It’s tea time again! Today, I suggest a recipe that doesn’t take much time to cook and only require a mug and a microwave! 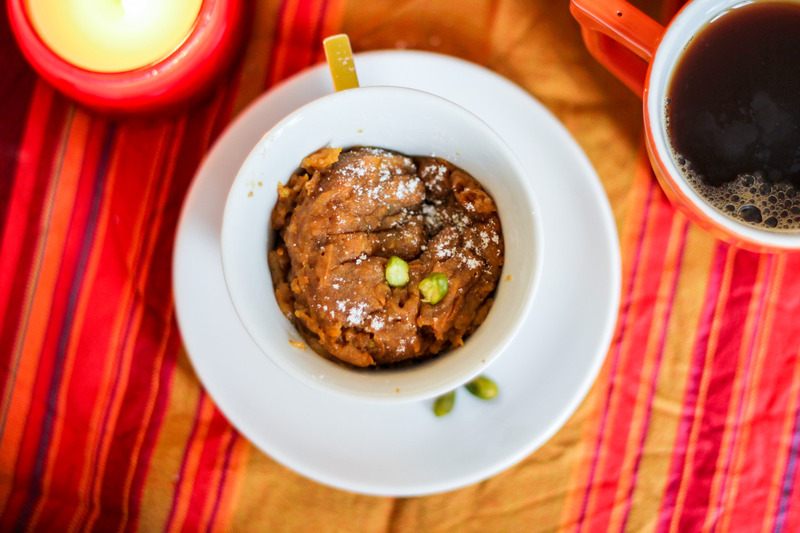 Carrot and pistachio cake in a mug, served with a cup of Whittard Original Tea. Cook in the microwave for 2 min. 30 and leave it 30sec before you eat. This post is an entry to the Whittard of Chelsea Cake in a Mug Blogger Carnival.